It was an absolute pleasure working with Hannah and her family on the designs for the flowers for Hannah and Matt’s summer wedding. 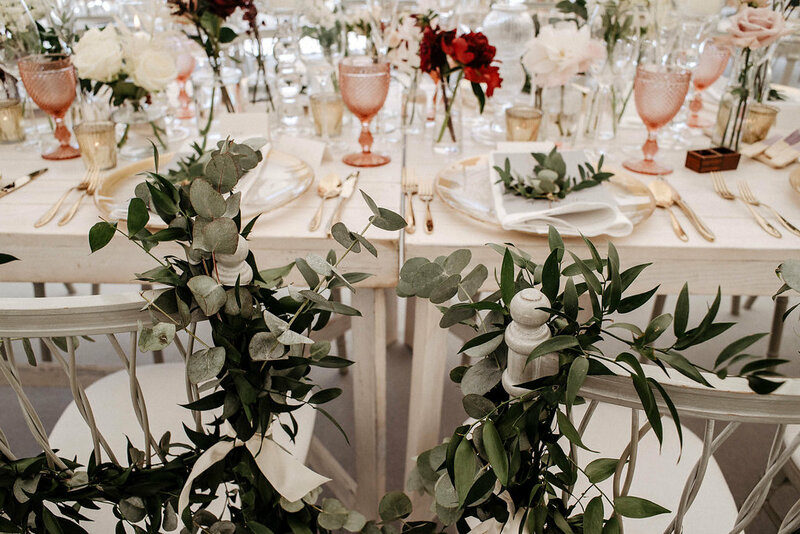 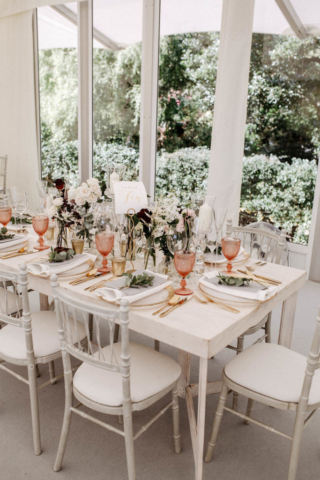 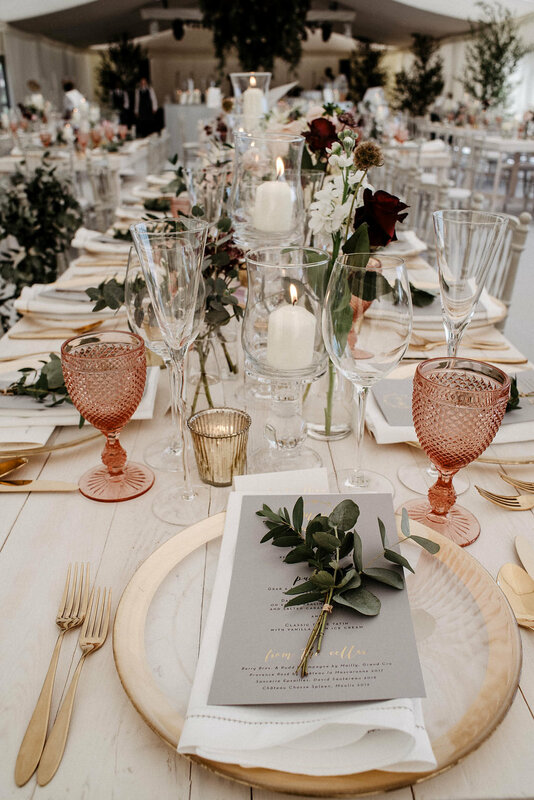 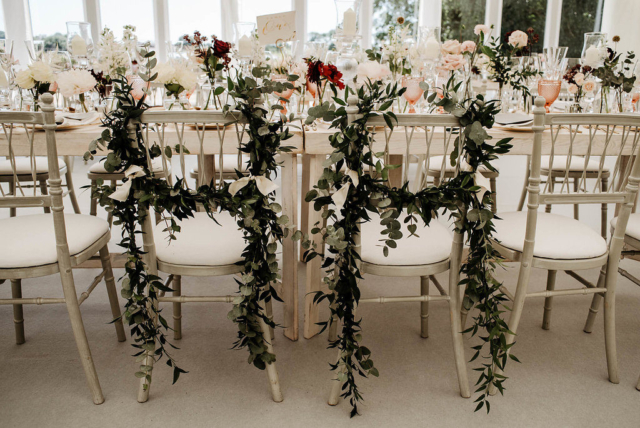 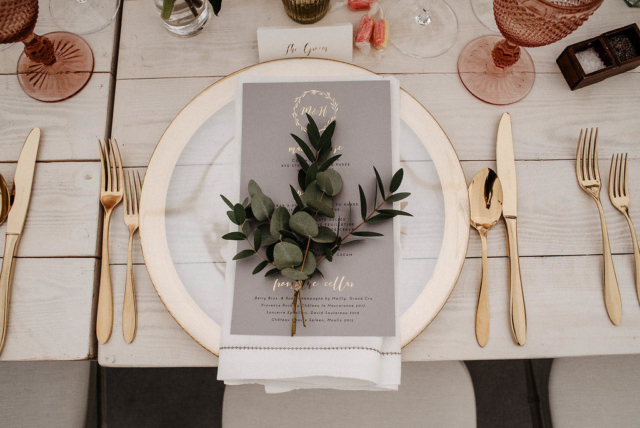 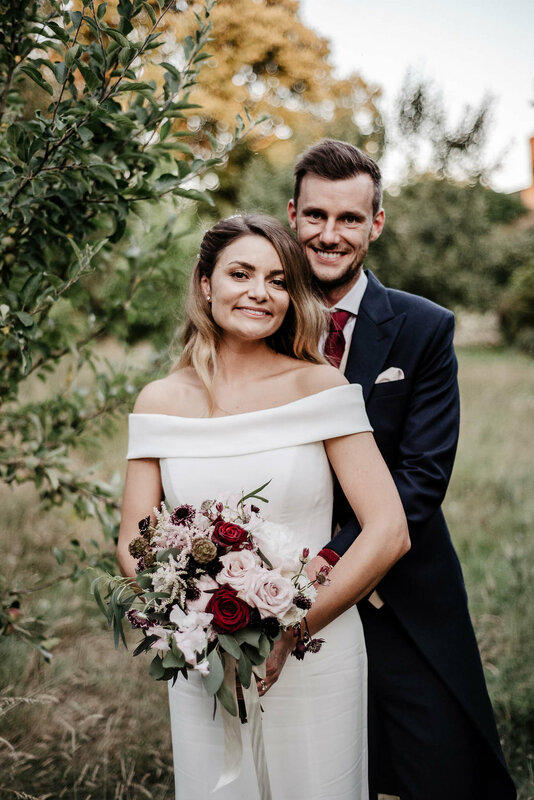 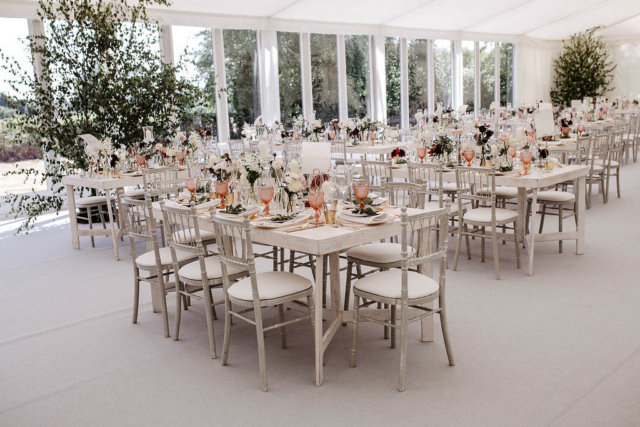 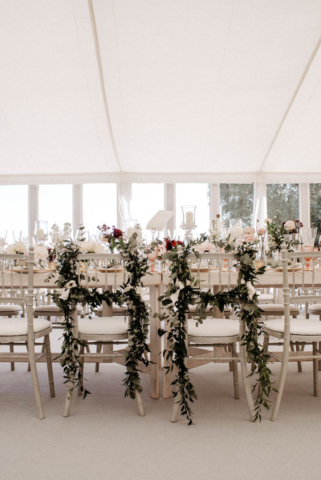 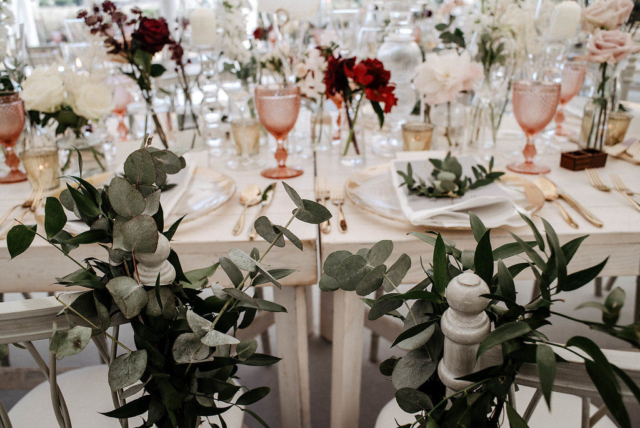 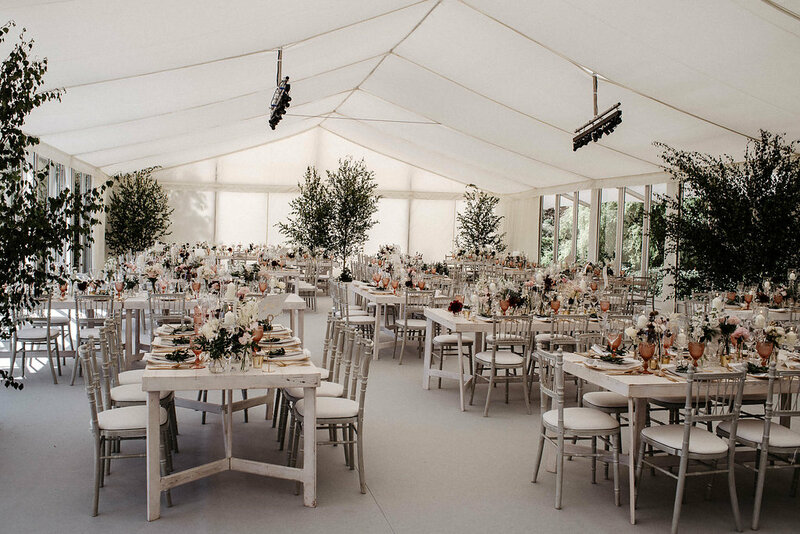 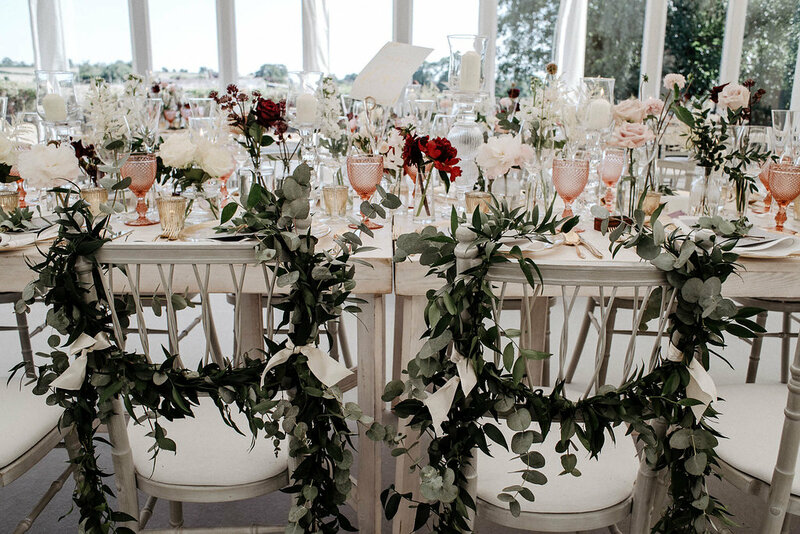 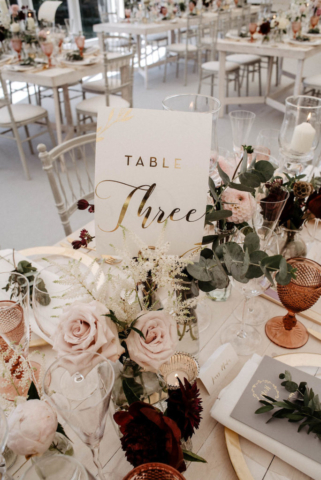 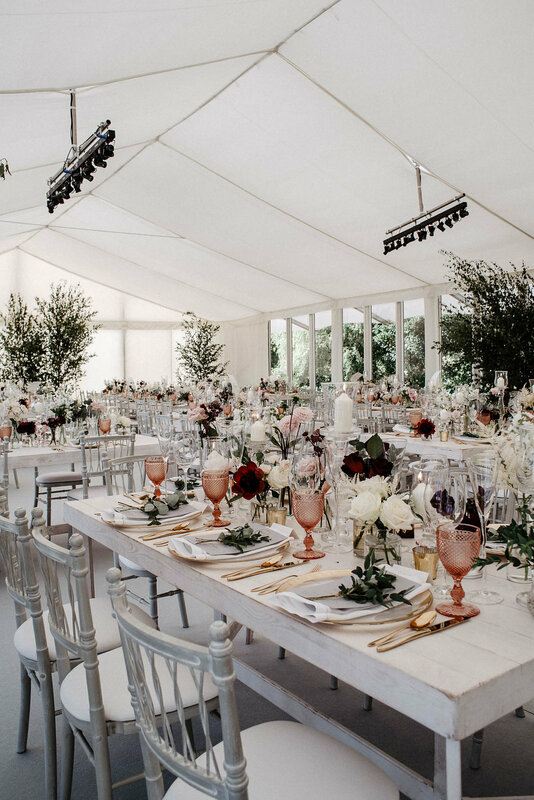 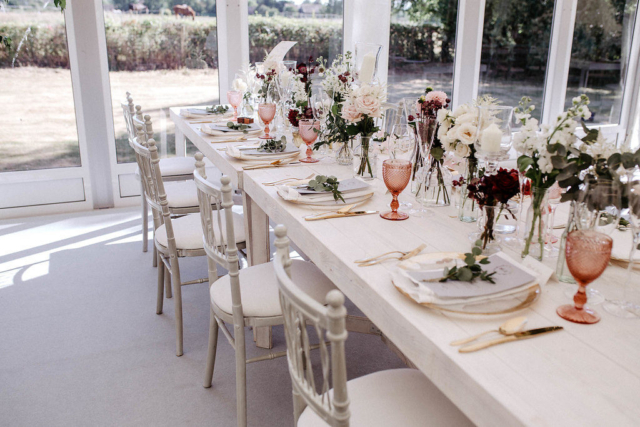 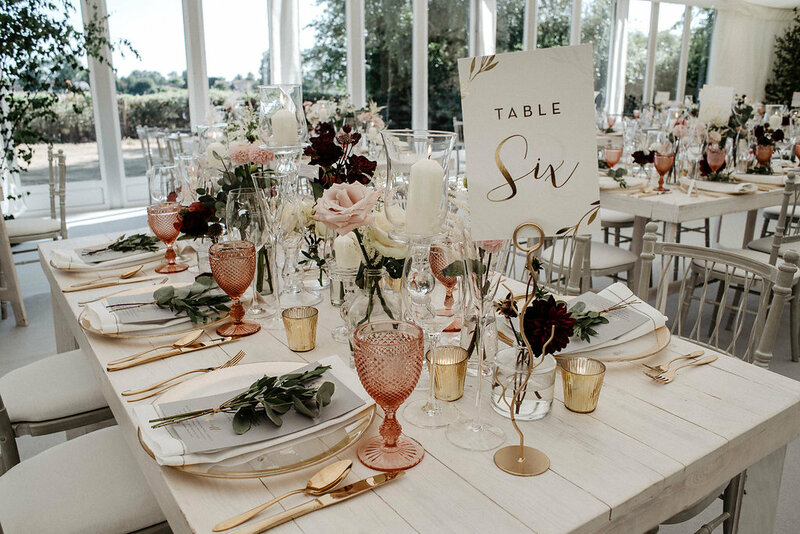 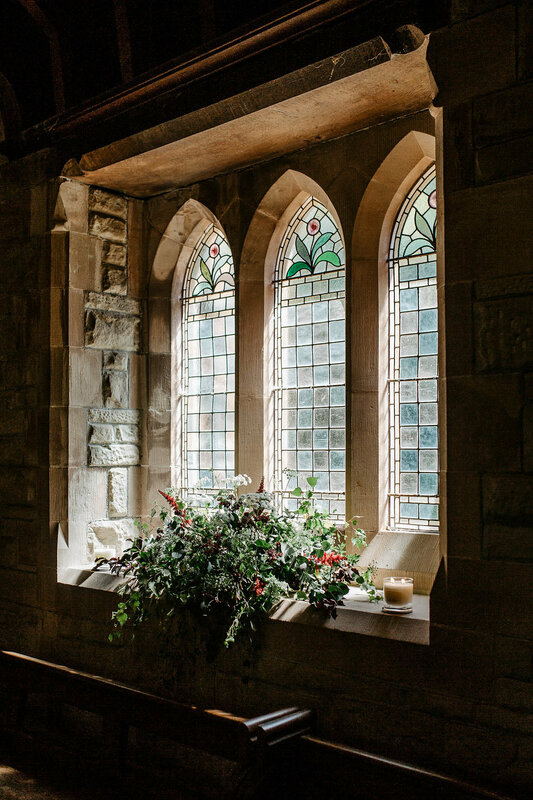 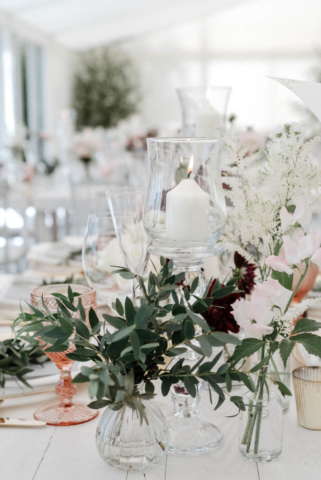 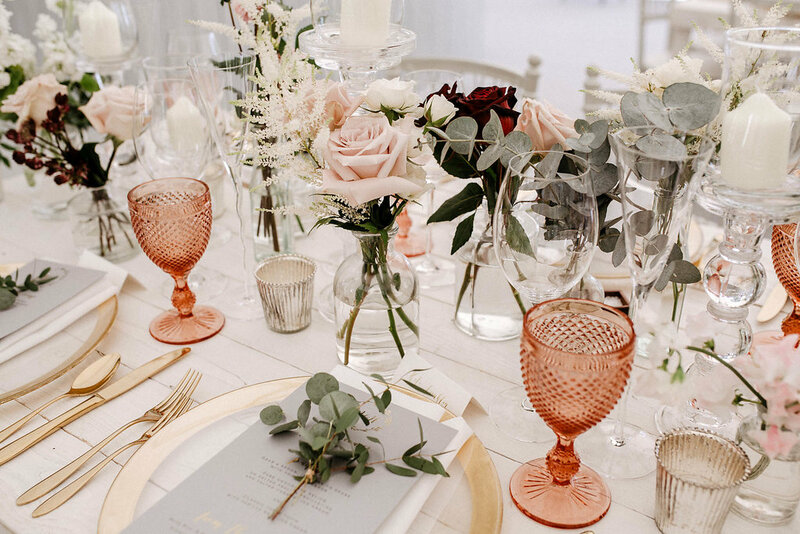 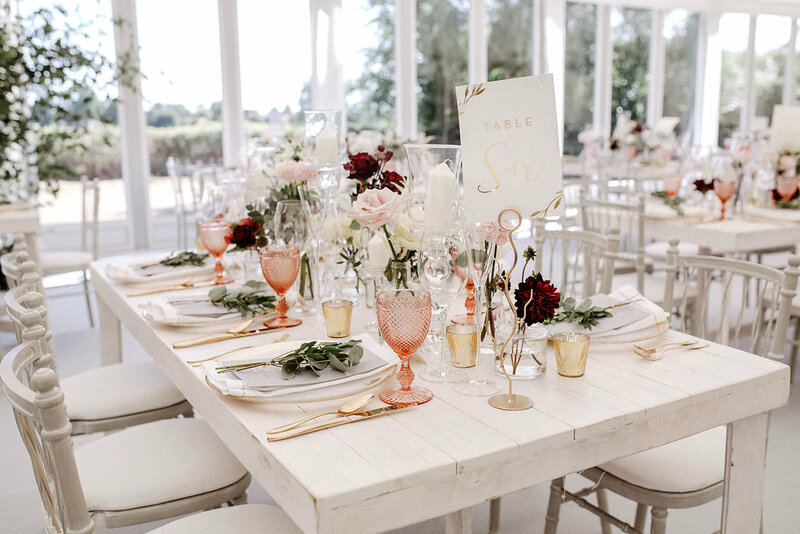 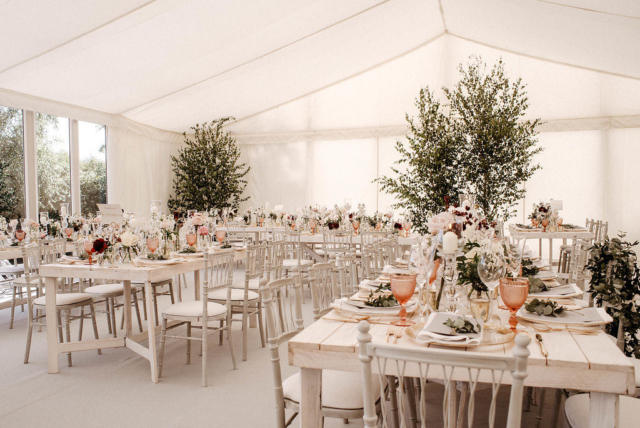 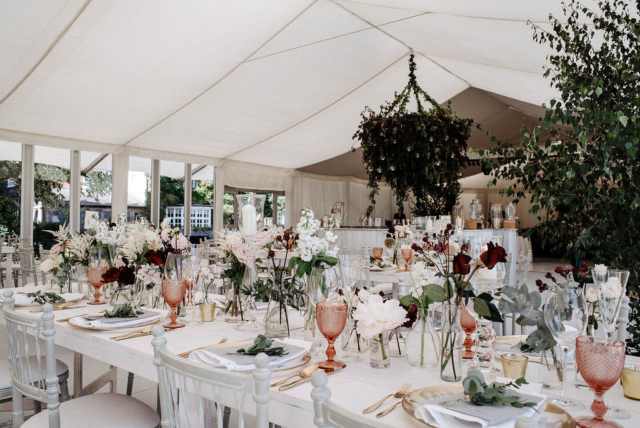 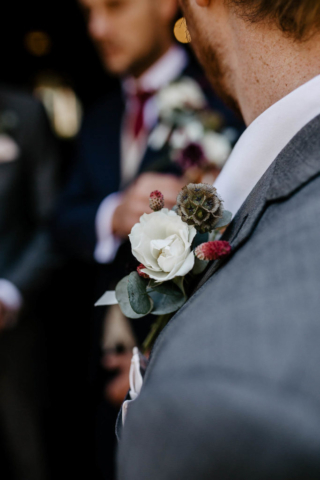 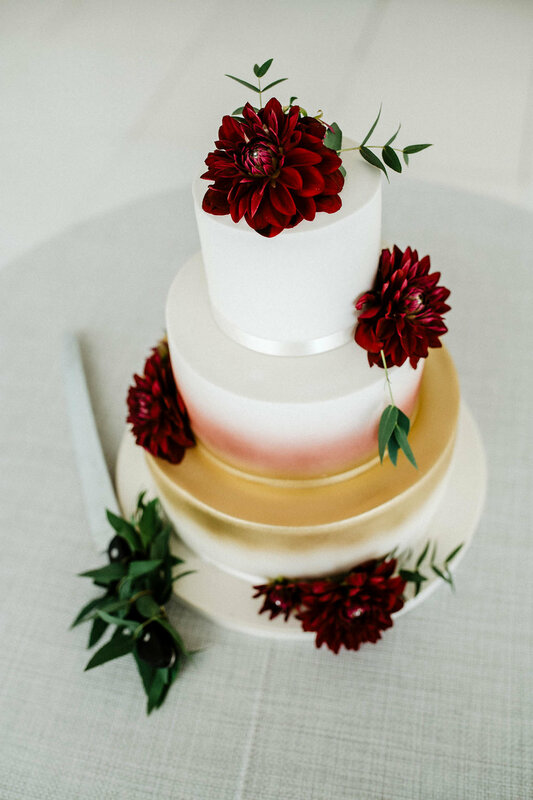 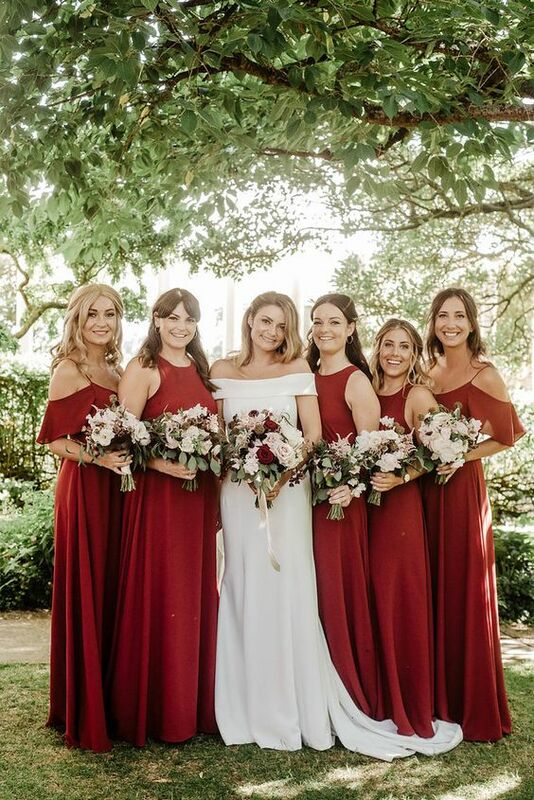 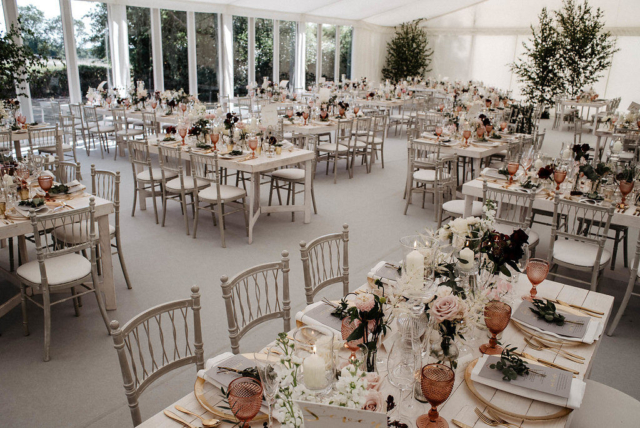 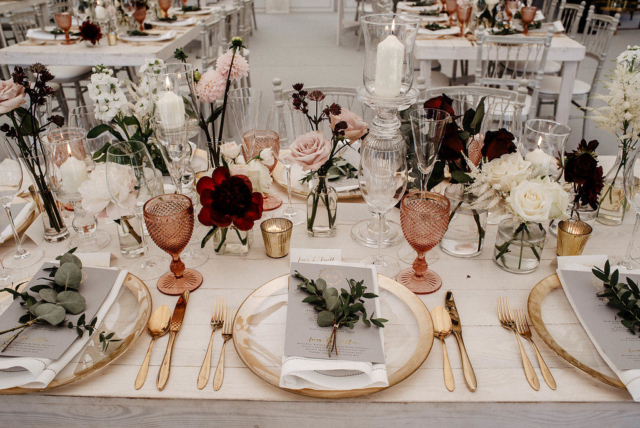 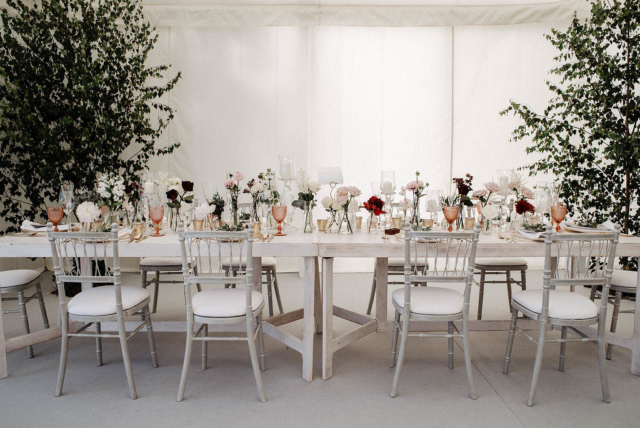 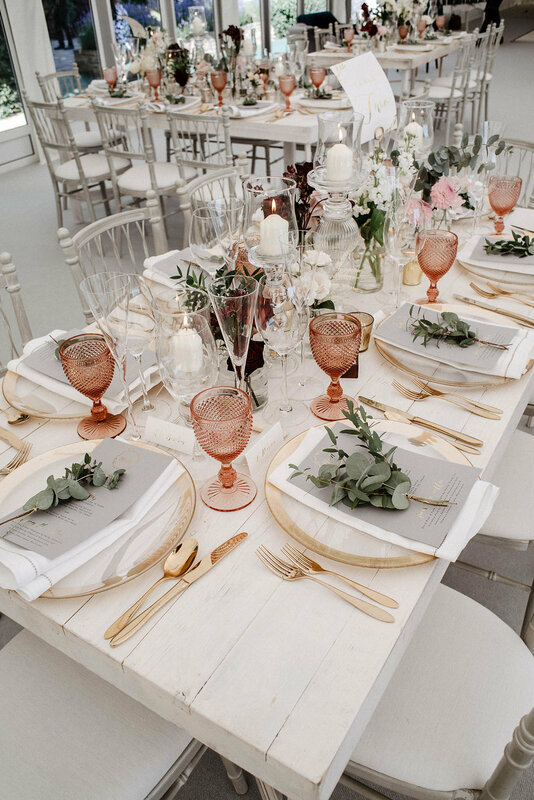 From wild flowers and candlelight in the old stone church in the countryside near the family home, to the showstopping marquee in their grounds of their house and all in a colour palate that was both elegant and dramatic. 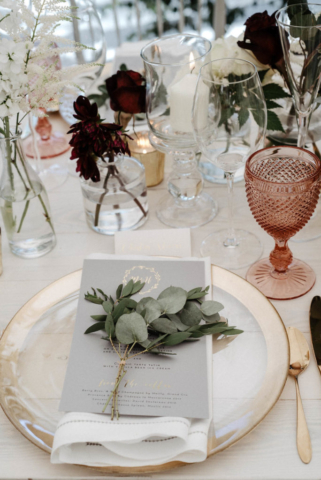 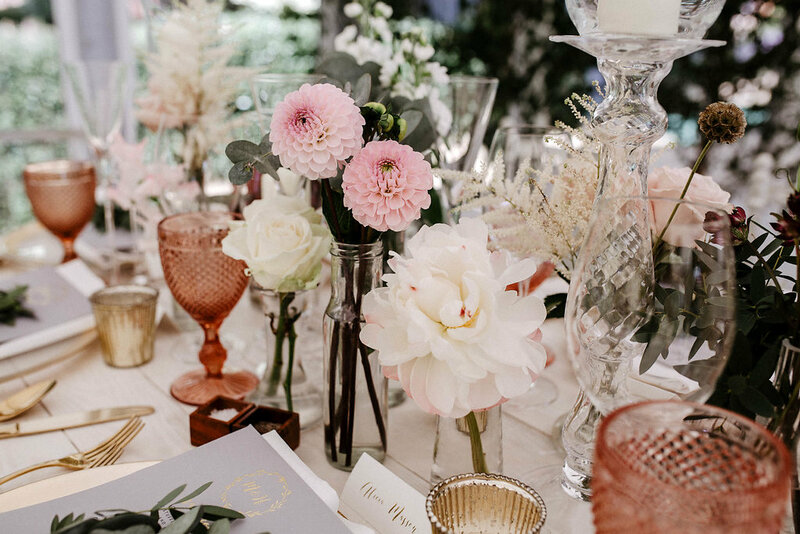 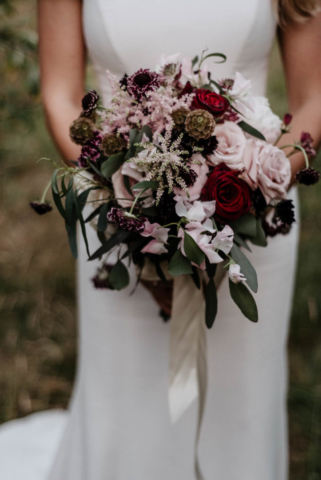 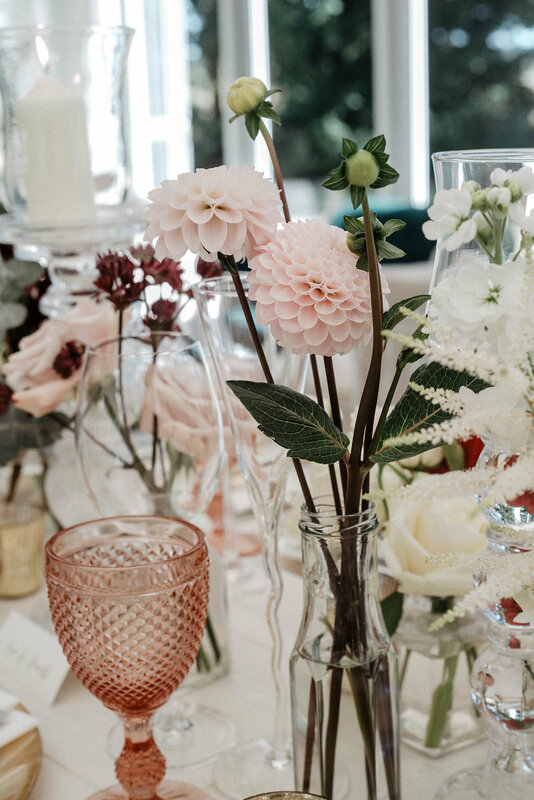 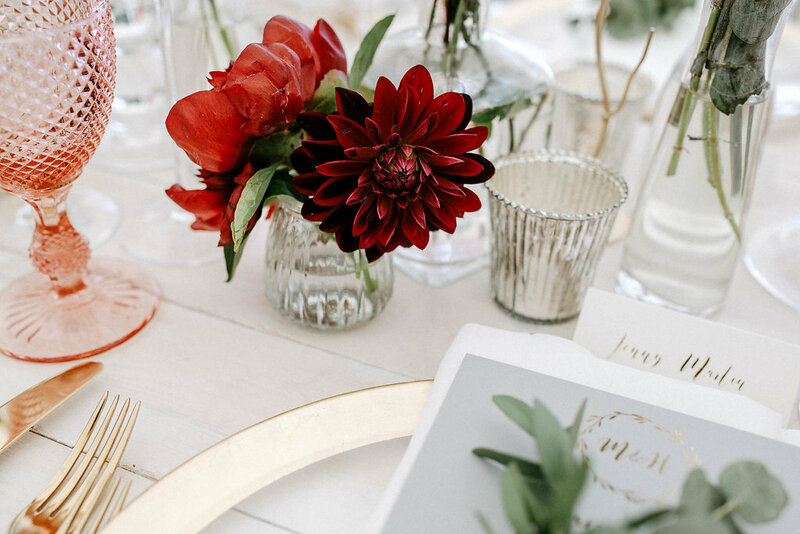 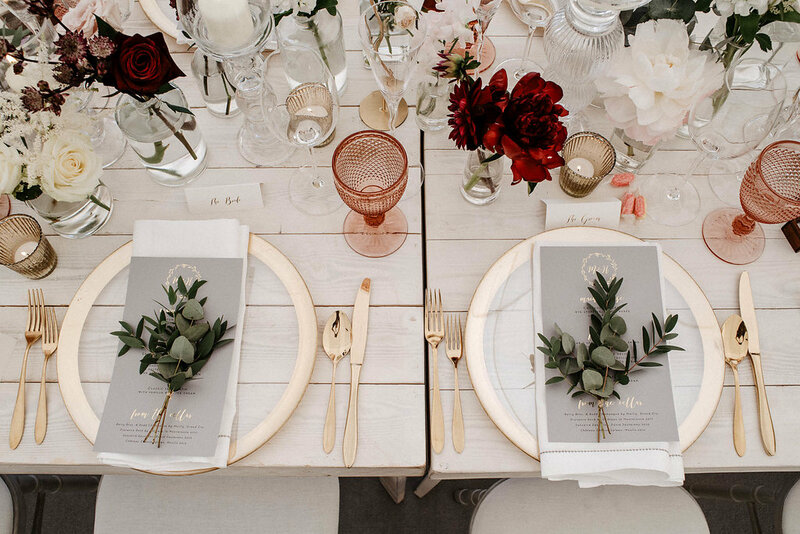 We mixed roses in deep burgundy and blush pinks with cool toned foliage and meadow-like flowers including astilbe and cosmos with accessories in glass and smart gold. 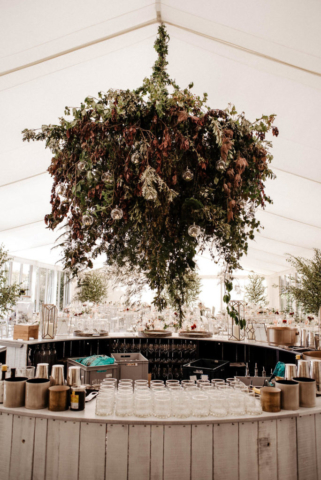 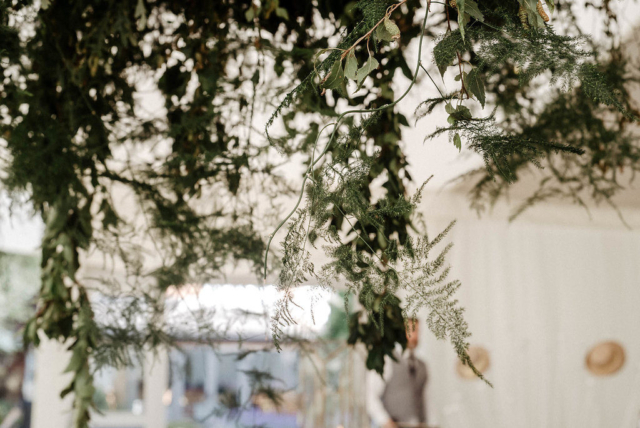 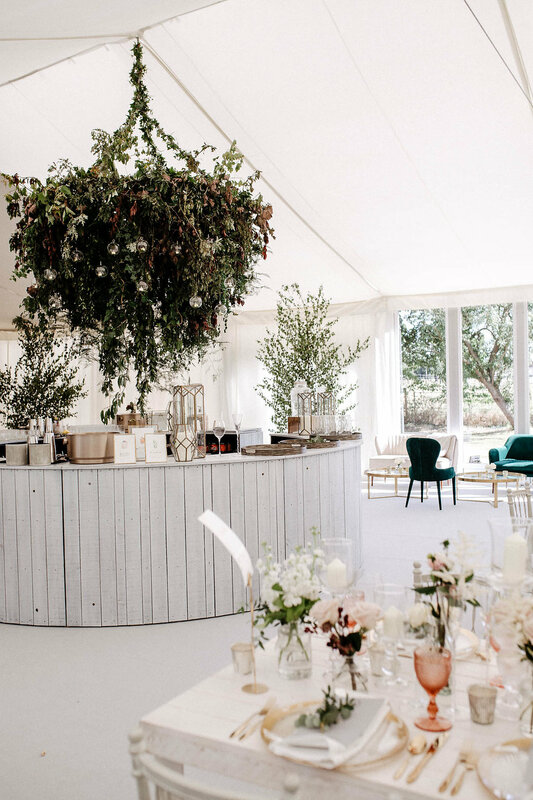 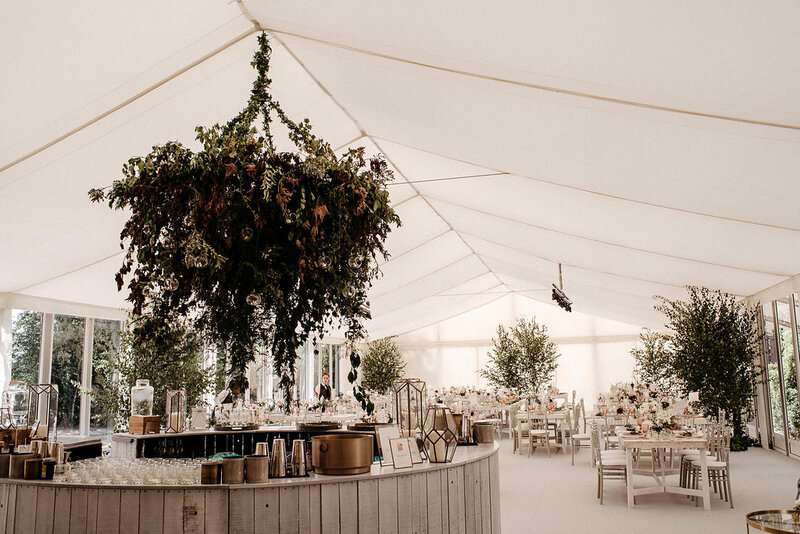 Birch trees softened the lines of the marquee and the foliage theme continued with a huge statement chandelier festooned with lights suspended over the bar. In a thank you email the day was described as “magical” and we couldn’t agree more.